Cyprus is a favourite year-round destination. Summers last from March to October and while the winter months are quieter, one can still find the climate amicable for beach activities round the year. In 2015, Cyprus was once again awarded with Blue Flag status for 57 beaches, which is the highest number per coastline in Europe, as Cyprus has some of the cleanest coastal waters in Europe. Are you ready for an encounter with Poseidon? Considered one of the major Olympian Gods, Poseidon dominates the seas with a single stroke of his trident! This fantastic cruise sails guests along the coast line, allowing them to view the breath-taking scenery. Swimming, fishing, snorkelling, canoeing or just relaxing on board, treat yourself to the ultimate in relaxation and fun with an experienced crew who are both friendly and professional while always on hand to make the trip a wonderful experience. This trip is a truly memorable experience! Inspired by the Olympic Games, games such as the Triathlon can be organised on the beach. Participants are split into groups and informed on instructions and explanations before the games begin. Once everyone is ready, we will hear the words “ready, steady, go”!! Beach volley ball, beach football, sack races, tug of war, water polo, sand castle competition, a Marathon run on the sand, a swimming race, and many more will give participants the chance to compete against each other, to laugh, and frolic in the warm Mediterranean sand. Nowhere in the world is there a sailing area as rich in historic and cultural significance as the Mediterranean! Today one discovers the fascination of sailing on modern sailing yachts. First timers and advanced sailors, according to their know-how, receive briefing on handling the yachts, insuring a pleasant day experiencing wind, sea and sun. 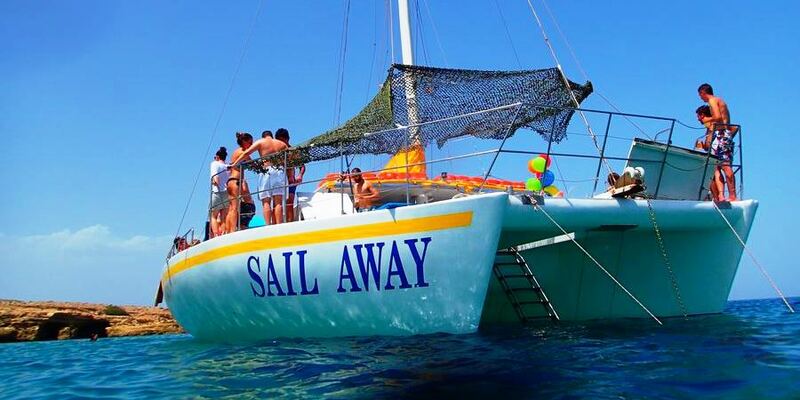 During the cruise, the crew actively participates in navigating, knotting, sailing and dropping anchor! Team spirit through competition, fun learning and joy are the ingredients of the day. Get on-board of a power boat and cruise alongside the coast while enjoying the blue waters of the Mediterranean Sea. Material for octopus fishing will be available on board, as well as refreshments. Our skipper and instructors will show our guests the skills needed for successful octopus fishing. Zenobia was a Swedish ferry that sank during its maiden voyage in 1980. All 140 passengers aboard were safely evacuated from the ship; however 108 Lorries on-board remained with the shipwreck. It measures 178 meters in length and 16 meters in height, while situated 43 meters in depth to the sea floor. Today, Zenobia is considered one of the top ten wreck dive sites in the world, and it has become a protected artificial reef. From the harbour of Larnaca we embark upon a boat to explore the Zenobia ruins. An adventure lies ahead as we sail, snorkel and observe the marine life. Enjoy a casual Beach Barbeque, dazzled by the breathtaking sunset over the Mediterranean Sea, while Chefs grill juicy meats, fresh fish and seafood and live cooking stations are prepared for the night. A unique ambiance is created with spectacular entertainment and special light effects.